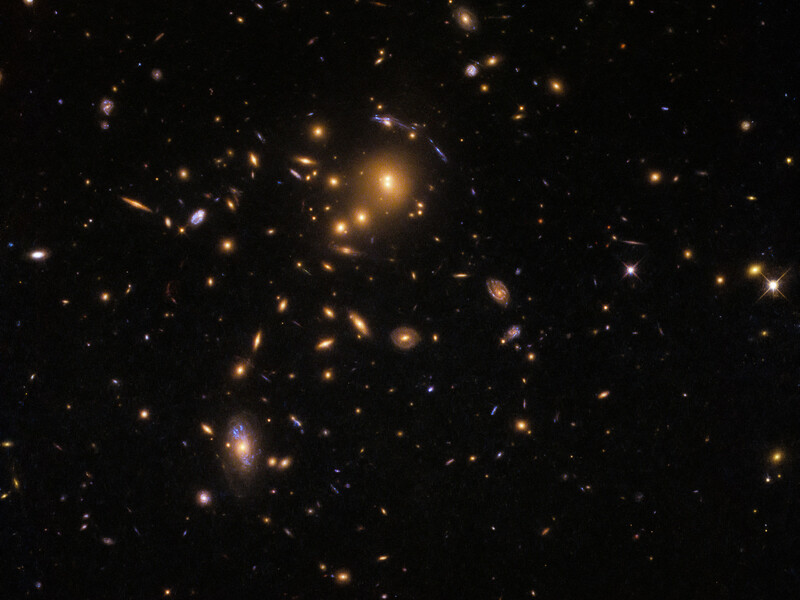 This effect works when the gravitational influence of a massive object, such as the galaxy cluster in the centre of this image, is so colossal that it warps the surrounding space, causing nearby light to travel along distorted paths. The massive object is effectively turned into a giant magnifying glass, bending and amplifying the light travelling from more distant galaxies lying behind it. In this particular case, astronomers used the foreground galaxy cluster (named SDSS J0915+3826) to study star formation in galaxies lying so far away that their light has taken up to 11.5 billion years to reach our eyes. 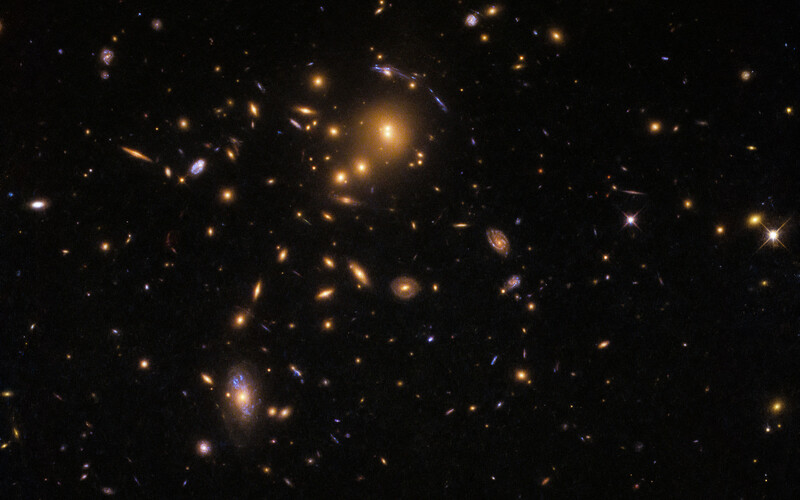 These galaxies formed at a very early stage in the lifetime of the Universe, giving astronomers a rare glimpse into the beginning of the cosmos. Despite their distance, the lensing effects of SDSS J0915+3826 allowed astronomers to work out the sizes, luminosities, star formation rates, and stellar populations of individual star-forming clumps within these galaxies — quite an achievement! Position (Dec): 38° 26' 38.08"